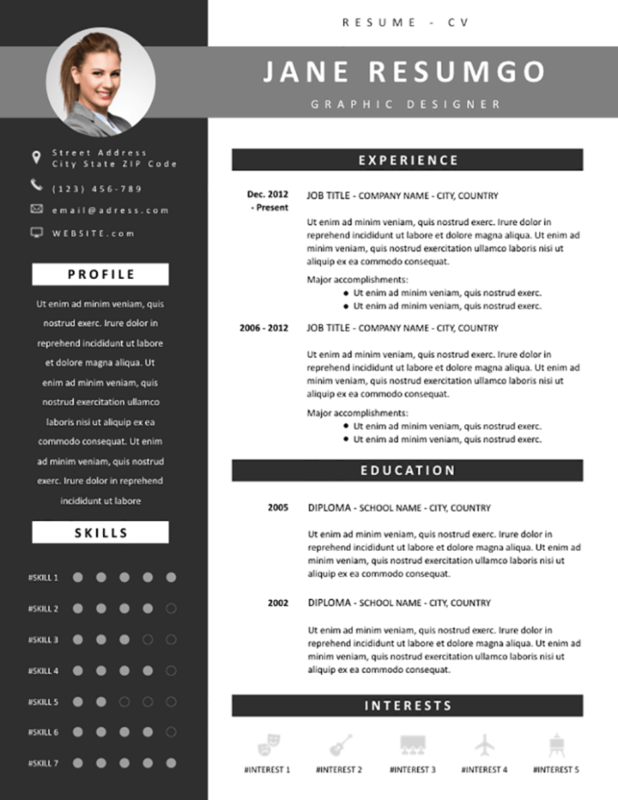 Oinone is a gray modern free resume template. 2-column structure with a dark sidebar and a professional look. A left dark gray sidebar, a white main part and highlighted bold categories/titles make your resume very easy to read. The focus is naturally made on the bright main part that you’ll use for your most important information: your professional experience and education. Use icons to display your interests in the lower part. The left part will be used for your photo ID, your contact information, your profile statement and your skills (5-point rating with dots).